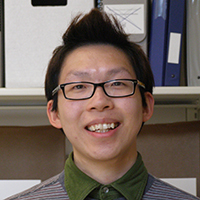 Jacky Lai, Archives and Circulation Assistant, was thrilled by an opportunity to work on the outstanding Uno Langmann Family Collection of B.C. Photographs. Lai, who has worked at multiple Library branches as a student worker and then staff member, is responsible for developing and maintaining an inventory of the collection. He is also heavily involved in processing albums in the collection – stabilizing and cleaning pages, and ensuring that the collection meets the Library’s preservation standards. After meeting Uno Langmann in person for the first time, Lai was captivated to hear the famed art collector speak passionately about what the collection means to him. “I think it’s very important to understand the meaning behind our work,” says Lai. As he continues his processing and preservation efforts, Lai looks forward to enhancing the accessibility of this special collection for the public. Select items in the Langmann Collection will be available digitally this summer – Library users can also visit Rare Books & Special Collections to see the photos in person. UBC alumni can now access some Library resources both on- and off-site, thanks to an initiative from Alumni UBC. Recent licensing benefits include access to EBSCO Academic Search and Business Source Alumni Editions for all UBC alumni. This database provides access to more than 4,150 full text journals. Alumni can access the content both on-and off-campus once they register their A-Card using the online portal. 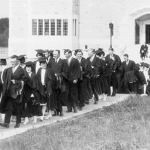 Additional UBC Library resources specific to alumni can be found in our online user guide. For questions regarding troubleshooting, A-Card validation or for feedback, contact Alumni UBC at 604.822.3313 or alumni.ubc@ubc.ca.